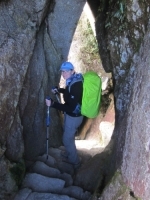 This 4 Day hike is a must do for the fit and healthy. 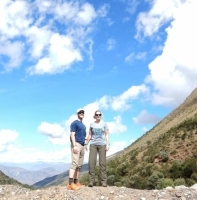 We hiked up thousands of steps to reach 4,200m and the view was breathtaking. Seeing Machu Picchu was an incredible reward after 3 days of 5am starts, below zero nights, a Day of altitude sickness, hours of ascending and descending with aching muscles. One of the most incredible hikes I've ever done. 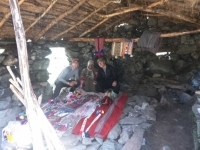 A big thanks to our guide Raul Cornel and the porters. 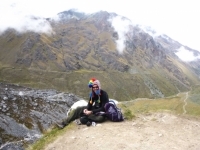 The experience will bring me back for future treks while living here in peru. The climb to the glacier lake was a great way to acclimate to the trek ahead. We all jumped in the bus and headed up the hill, anticipating the trek aheAd of us. On the first day we trekked up to a Glacier lake, and i, as normal, went too hard and too fast. Exhausted three quaters of the way up. 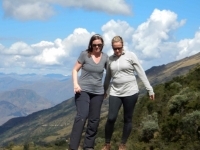 Machu Picchu in May 2015, with Inca Trail Reservations. At first we had a briefing in the office of the agency where we met our guide Rony. He gave us all the information we needed before starting the trail. 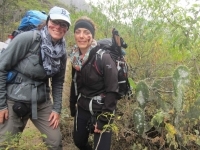 This 4d/3n inca Trail was fantastic. It was a once in a lifetime experience. The scenery and the landscape is amazing. During these days the landscape changed a lot. It was quite impressive to see so many different landscapes in such a short time. to have fun, to eat, to rest. We had the most amazing time.The hiking was tough on certain but we were ready for it. The guides told us what to expect each day. 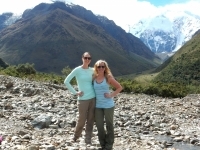 Thank you to everyone at the salkantay trek!! I had such a great time. 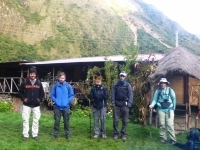 The pre trek the salkantay.org company, specially Mebel, were very helpful and organized and well informed. No worries, is Rogers favorite saying as well as a perfect theme for this Trek. 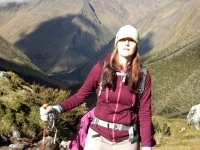 From beginning to end the guides and crew have you covered.Reservations, flights, transportation, hikes, and meals,were all easy to coordínate through Salkantay.org. 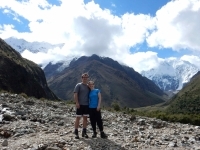 Salkantay trek is one of the most amazing trip I have ever done, everything is pretty organized and everyone was very helpful during the entire tour. I was very nervous about how difficult this trek would be but the briefing provided a great explanation of hie our days would go. 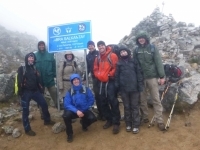 This trek was one of the most challenging experiences of my life, both physically and mentally. It was also one of the most rewarding and amazing. This was a trip of a lifetime and something I will remember for years and years to come. The overall experience was excellent. Communication was great with the office pre-hike. Transportation was timely when we arrived at the airport in Cusco. The Trek was challenging and rewarding. Our Guide, Roger, was fantastic and cleary went out of his way to help us enjoy our experience. The chef made restaurant quality food, somehow, in each campsite and there was never a shortage.